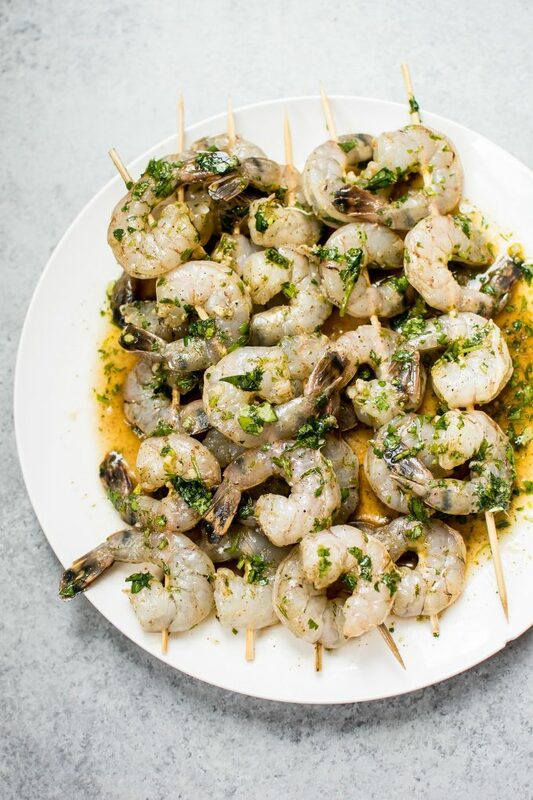 These flavorful grilled tequila lime shrimp are sure to be a hit at any BBQ or summer gathering! 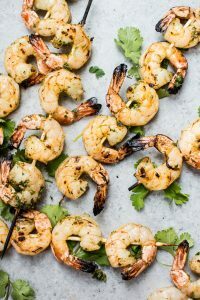 Garlic, lime, tequila, cilantro, and chili powder are a few of the marinade ingredients that give these grilled shrimp their fabulous flavor. 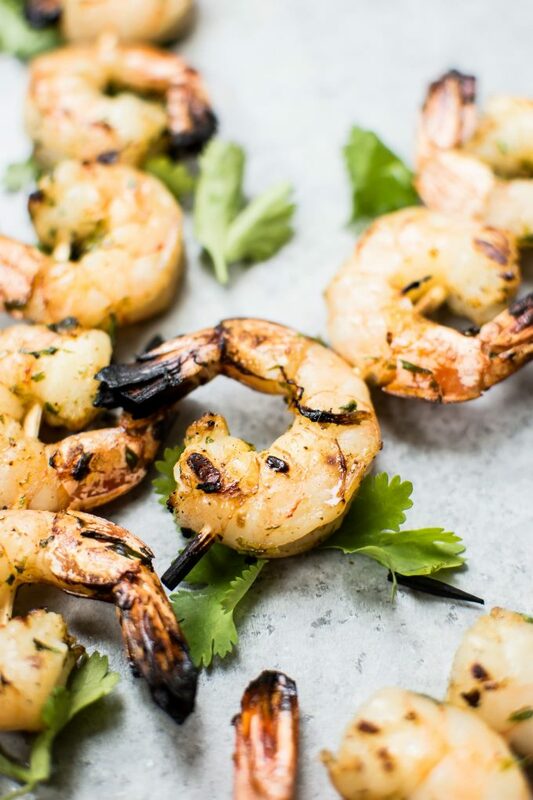 These tequila lime shrimp are easily my favorite grilling recipe of the summer so far. They’re super easy and taste soo good. Even my husband, who isn’t the biggest seafood fan, enjoyed them. I will definitely be making them again. This recipe is really simple. Throw the tequila lime marinade ingredients in a large Ziploc bag, then add the shrimp. 30 minutes later, your shrimp are ready to be threaded on the skewers. We have a gas BBQ and grill the shrimp skewers for about 4 minutes/side. Of course that time may vary depending on how you’re grilling these, but they won’t take long at all. Hope you enjoy these tequila shrimp and that you’re getting outside and enjoying the summer weather! Combine the marinade ingredients in a large Ziploc bag. Add the shrimp and toss gently to coat. Let sit for 30 minutes. Thread the shrimp onto your skewers. Preheat BBQ/grill to high. Reduce heat to medium-high, and grill the shrimp for about 4 minutes/side, or until they're cooked through, taking care not to overcook. Serves 2 as a main dish (assuming you have some sort of side with it), or 4 as an appetizer. Love these shrimp Natasha! My husband is a big tequila fan, straight or in food. And shrimp is one of our favorites for summer. Can’t wait to try! Love it. I think you are right, straight tequilla is out for me these days, but I agree that it is so quintessential summer. This marinade looks tasty. Thanks for sharing. Thank you! Haha I’m glad I’m not the only one.